Jam-packed with strawberries, these tender muffins with crisp, golden tops are perfect for a special breakfast or brunch. Packed with sweet strawberries, these tender muffins with crisp, golden tops are perfect for a special breakfast or brunch. They’re a nice change from blueberry muffins, and just as delicious. The secret is adding a lot of berries to the batter — which gives the muffins an intense strawberry flavor and keeps them very moist — along with a touch of almond extract to complement the fruit. My son, Zach (right), and his friend Evan helping me test the recipe. I made several batches of these muffins and experimented with different flavors — such as lemon, cinnamon and nutmeg — but my family liked the plain version best. That said, feel free to play with the recipe and add a teaspoon of lemon zest or hint of spice (1/2 teaspoon cinnamon plus 1/4 teaspoon nutmeg), if you like. Begin by whisking together the flour, baking powder and salt. In a separate bowl, beat the butter and sugar for a few minutes until light and fluffy. Add the flour mixture in three separate additions, alternating with the milk and ending with the flour. In a small bowl, toss the strawberries with two teaspoons flour. This will keep them from sinking to the bottom. Set 1/2 cup of the berries aside, then add the rest to the batter and stir until just combined. Spoon the batter into a muffin tin, then top with reserved berries and turbinado sugar. Bake for about 30 minutes, until golden and set. Let the muffins cool in the pan for about 25 minutes, then transfer to a rack to cool completely. In the bowl of an electric mixer, beat the butter and granulated sugar for about 2 minutes. Add the eggs one at a time, scraping down the sides of the bowl and beating well after each addition. Beat in the vanilla extract and almond extract. (The batter may look a little grainy -- that's okay). Freezer-Friendly Instructions: These muffins can be frozen for up to 3 months. After they are completely cooled, double-wrap it securely with aluminum foil or plastic freezer wrap, or place it in heavy-duty freezer bag. Thaw overnight on the countertop. Your recipes are consistently wonderful and it makes my family happy when I make them again and again. This morning I made your Strawberry Muffins in preparation for our Easter breakfast. I’ve made this recipe many times before but this time I happened to notice that the “Freezer Friendly” instructions attached to the muffin recipe appear to actually belong to a different recipe. Just wanted to give you a heads up. Hope all is going well with you. Thanks so much for all the cooking and eating pleasure you’ve given to others over the years! You are greatly appreciated. I never made Strawberry Muffins before. This is one of the best muffin recipes ever. We always have strawberries on hand and at times I need to use them up. I have made these a dozen times. I have forwarded this recipe along to family and friends. The ingredients are always on hand and the directions are perfect. Thank you! So yummy! My family and friends couldn’t get enough. I would recommend adding slightly more than the stated amount of strawberries. And if you want sweeter muffins, use ripe or overripe strawberries for that extra fructose. Made this for the first time and my husband absolutely loved it!!! Sadly, I was out of paper liners and cooking spray – will make sure I have both next time. Also made the same mistake as another reviewer and put the muffins in a Ziploc bag and they got a little soggy – I was worried that because of the lack of paper liners, they would dry out. Next time they will be perfect :). Thank you so much for the recipe! I was thinking of trying to make a “healthier” version by substituting some wheat flour/oats. Do you think that would harm the taste/texture too much? I was thinking of doing perhaps 1/3 reg flour, 1/3 wheat flour, 1/3 oats. I just made it with all whole-wheat flour and only 1/2 cup sugar. I couldn’t wait until they’d cooled, but first report straight from the oven is that they are delicious! Wow! I loved it…and, more importantly, everyone at bake sale fundraiser loved it! Thanks for great recipe. These muffins are really special! The strawberries were wonderful in this recipe. What a great, fresh tasting muffin. I have always preferred fruit to anything else (pies & crisps vs. cakes and cookies) and these top my list for muffins. Jenn, thank you for never disappointing! I know your recipes will always turn out due to your thoughtful instructions and wonderful ingredients. I made these muffins today and loved the taste. Next time I will make fifteen to eighteen with the same amount of batter. My muffins spread out and connected to each other and made a mess when I tried to remove them from the pan. My husband loved the taste of these better than the blueberry muffins I made. A winning recipe for me! Hi Jenn -I’ve made these wonderful muffins several times and they always came out perfect. I want to make them again and was wondering if I could use a jumbo muffin pan which makes 6 muffins. Each muffin would be twice the size. Do you think it’s not advisable? If so, I’ll just stick to my old pan. Thanks for all your great recipes. I’m sorry I felt the breading part of the muffin to be very cornbread like. I know I added 1 cup of sugar and the berries were very old so also sweet. I just wanted the muffin lighter and sweeter. I did love the way to lay out the instructions. Baked them today and according to the kids “these are the best, yummiest cupcakes ever!!!”. Thank you for the recipe! We”ll definitely make them again. We had to work around absence of sugar in the house – replaced 1 c sugar with 3/4c honey (so had to reduce milk: only added 1/3c). Worked well! I would like to amend or delete my previous one star review because I just realized I added 2 cups of sugar instead of just one. That seems to be where I went wrong! I guess that’s what I get for trying to bake with three small children running around me. 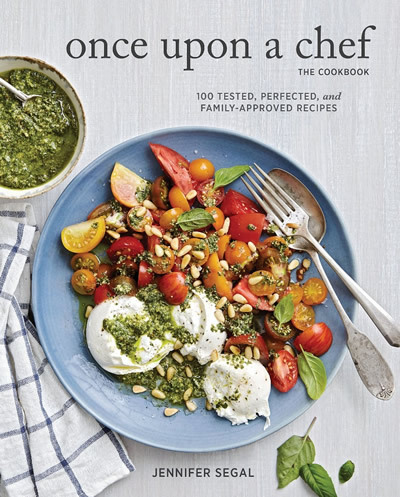 I absolutely love Once Upon a Chef and have made so many wonderful recipes from this website. Unfortunately, this recipe failed me. I followed the directions exactly (except I used frozen strawberries which the responses to reviews said you could do) so I do not understand what went wrong especially with all the wonderful reviews. I had WAY too much batter for 12 muffins cups, but because the recipe said they would be very full and none of the reviews said anything about overflowing muffins, I filled them to the top (plus another 3 muffins). I wish I could post a picture – they didn’t rise at all and over flowed so badly that the tops all just ran together to form one large muffin. They also have sink holes in the middle. I am so disappointed because I made these for overnight guests and wasted a lot of ingredients (and time). Hi! Can I use frozen strawberries? Do you think making ahead a freezing will work? Or do you think will be soggy after defrosting? Hi Erin, I haven’t frozen them, but I think they’d freeze nicely. First off I must say your Strawberry and your Banana muffins are second to none. At this moment I am making your blueberry. Could you tell me please is it possible to switch out the strawberries for peaches? Best regards and happy baking.. (My family is enjoying every thing I make of yours). So glad you’re enjoying the recipes, Trudy! 🙂 I haven’t tried these muffins with peaches, but another reader commented that she did and was happy with the way they turned out. These are incredible. I’m trying to avoid saturated fats – so chose to use oil instead of butter. Whisked the sugar with the oil till dissolved. Then added the other liquids to it and mixed with the dry. Worked well. Thanks for all your wonderful recipes! Hi Jenny – today I had a container of strawberries that were getting old. Not great to enjoy eating by themselves , so I decided to test your strawberry muffin recipe. They turned out just like yours and for a moment I thought they may over flow out of the pan, but they didn’t. Hubby and I just tasted one each and I must say – they are my first strawberry muffins baked! They have very strawberry flavor and moist with so much strawberries in each bite! They made exactly one dozen and look so delicious! Thank you for a tasty recipe! I have made these muffins before and they are delicious! I’m wondering if this same recipe can be baked in a loaf pan for strawberry bread? Any modifications to the recipe and how long would I bake it and on what temperature? Thanks! Hi Tina, I’ve never tried these in a loaf pan, but I suspect it should work. I’d lower the temp to 350 and start checking it for doneness at about 45 minutes. I’d love to hear how it turns out if you try it! The perfect strawberry muffin! This was the first Once Upon a Chef recipe I tried and now I’m hooked! Happy to have you as part of the Once Upon a Chef community (and glad you enjoyed the muffins)! Made a dairy free version of the recipe (soy milk, earth balance butter substitute) and they were amazing! We couldn’t stop eating them. I bet they would have been even better with real butter but we are a dairy free bunch over here. I have some rhubarb to use up. Think this would work – 75% strawberries 25% rhubarb? Sure, Chithra, but I might do half and half. Please lmk how it turns out if you try it. It’s strawberry season in the UK, so decided to try those. I now have a very happy 4 year old! Hubby loved it too. Thank you. Love these muffins! My husband and I am a big fan of the blueberry muffins as well. Easy to make and oh so delicious! I make muffins almost every week! Making muffins with this recipe is amazing, so I just had to try making this recipe in a loaf pan, as a quick bread. Unfortunately the results were not as stellar as making muffins. There’s too much strawberry in the recipe, which results in too much liquid that pools in the bottom of the loaf as it cooks. I made a double batch of the recipe at one time. With a double batch I was able to fill a 9″ inch, and 8″ loaf pan. After cooking, as the loaf cooled, it sank considerably. After completely cooled, I cut the loaf in half and the center was dense. Again just too much liquid from the amount of strawberries used. There’s just no way for the extra moisture to evaporate out while cooking in a loaf pan. This is definitely a muffin recipe. I strongly advise following the recipe as it is written. The part about reserving 1/2 cup of strawberries, and placing on top after muffin tins are filled is a must do. This step will reduce the chance of having too much liquid in the muffin and ending up with a dense “doughy” center of the muffin. I still give this recipe 5 starts as it is a perfect recipe for making exactly 12 muffins, with limited ingredients, great natural strawberry flavor, and not too sweet. I just made strawberry muffins following your recipe. 5 stars as this recipe works as listed. There is just enough batter for 12 muffins. PERFECT!!! I chose your recipe as it has limited ingredients, and no artificial strawberry flavorings. Omit 3/4tsp salt. Too much sodium is bad. Sliced my strawberries with my food processor slicing blade. Use 1tbsp tapioca starch instead of flour in the strawberries. Mix all the strawberries into batter, rather than reserve some for topping. Somebody previously asked if this would be good in a loaf pan as a quick bread. I think it would work great, but would need a double batch to fill a 9 x 5 loaf pan. I didn’t like these that much, they tasted like someone added strawberries to cornbread. On the bright side, they didn’t stick to the pan. I just made these muffins today, and they are absolutely delicious! I am curious — do you think the batter could also be baked in a 9×5 loaf pan or a 9 inch square pan? I’m never sure whether muffin batter will also work as a quick bread or breakfast-type cake. Thank you! Glad you like them! I’ve never made this recipe in a loaf or square pan, but I think either should work. Please LMK how it turns out if you try it! Hi, you mentioned that this can’t be made with melted butter but I just made it with half coconut oil (which was melted) and half butter because I ran out of butter, and it still came or great! I suppose it would taste better with all butter, but I like them anyway! Also, how long do you think these will last out and also last in the fridge? Thanks. Hi Hema, good to know about the melted coconut oil – thanks for sharing! If you leave the muffins out on the counter, I think they’d be good for 2 – 3 days. (Cover them loosely with foil. You don’t want them wrapped too tightly; the muffins are so moist that they may get a bit soggy if you do.) They should last for about 5 days in the fridge. Wonderful and being in a hurry, I didn’t even follow directions nor put a topping on! Soaking strawberries in vinegar and water solution does seem to increase longetivity and this was a wonderful recipe to continue to enjoy supply that has been in refrigerator for a week. Thank you! These muffins were awesome. I have had the recipe saved for almost a year! I finally made them. The muffin tasted like a vanilla cake. I left out the almond extract because I don’t like the flavor. I did have one question about the fresh strawberries in the muffins. They seemed to be a little to wet and almost made the muffin around it soggy. Maybe tossing them in even more flour first? This is my first time using fruit in muffins so maybe that’s how they normally come out. 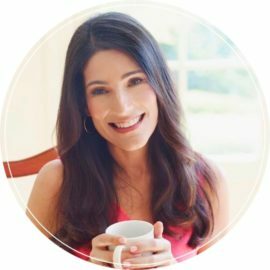 Hi Rachel, I think you could toss them in a bit more flour; just don’t go overboard so as to avoid throwing off the ratios of wet versus dry ingredients. Fabulous!! I found this recipe one morning when I didn’t have blueberries on hand. I made them just as written and they were a huge hit!! My kids even ate them with whipped cream for a dessert. I’m keeping this recipe handy! Thanks for sharing! Can you use frozen strawberries. We went strawberry picking in the summer and I have some I want to use up? Yes, Bridget, frozen strawberries will work here. Hope you enjoy! These are quick, easy and delicious! They are perfect for strawberries that don’t look as appetizing but are perfect chopped up and thrown batter. I like to make a batch and freeze them for mornings on the go. I made these and sprayed my foil lined muffin papers and they were wonderful. I’ve made the blueberry ones to rave reviews. I’m looking forward to modifying this recipe with peaches or nectarines in the summer. Just preordered your cookbook. I can’t wait! I love your best blueberry muffins and would like to make the strawberry muffins for Valentine’s Day. If I use paper muffin liners, do I have to spray them? Hope you enjoy these just as much as the blueberry muffins! Yes, I’d spray the liners with non-stick cooking spray. Happy early Valentine’s day! Would it still come out good if frozen strawberries were used? If yes, would you have to defrost them first, or throw them in the batter frozen? Hi Erika, I think frozen strawberries would be fine here (and no need to defrost them first). Hope you enjoy! I wonder if there is a way to convert this to a sugar free version. My mom is diabetic. Hi Myra, I don’t have any experience with diabetic baking so I don’t have much wisdom to share. Perhaps you could use a sugar substitute here, but I’ve never prepared them with anything but regular sugar, so I can’t say for sure how they’d turn out. Sorry I can’t be more helpful! I’m a nanny and I made the gluten free version. Only substituted regular flour for gluten free flour and granulated sugar for light cane sugar. Amazzzzzing! Good day, I can only find Demerara, caster, raw, brown, icing, coffee sugar where I am, is any of the above mentioned sugar able to substitute turbinado sugar and how much to use, please. Thank you for your help. Hi Charmaine, the same amount of Demerara sugar would work here. Enjoy the muffins! They’re amazing every single time! Haven’t made them yet but look delicious! Sure, Bernice. Hope you enjoy them! Absolutely delicious! Ate one warm and it melted in my mouth – so good. These are sticky muffins, but I baked them without papers and they came out of the greased pan without any problem. These are so good! The only change we made was to add extra strawberries. These are the best muffins I’ve ever made! Will definitely make this again and again. The taste was awesome as well as the texture. Next time I’ll add paper cups when baking them as the texture was soft and clinged to the tray. Thanks for this recipe ! DELICIOUS! I don’t like changing a recipe and then reviewing it but these were so good I had to post something. Due to my son’s egg allergy I literally couldn’t make “as is”. So, for one egg I subbed 1/4 cup applesauce and for the other egg I subbed 1/4 cup vanilla Greek yogurt (Oikos Triple Zero Vanilla). Other than that followed other measurements and instructions to a “T”. They turned delicious!!!! These are perfectly moist, and unlike some muffin recipes I try, turn out exactly like the picture and in a perfect quantity. Kids loved them, as did the adults. thank you! Another excellent recipe. I made this and your key lime pie ice cream recipe the same day. My strawberries were pretty juicy and I put the flour on them perhaps a little too early as the muffins were a bit wet after cooling off. They tested “clean” with toothpick. The taste was very good. Next time I’ll wait to add the flour right before I add the strawberries to the batter and see if that helps. Sure, Lisa. I think they’d freeze well. Made these twice and turned out awesome. Today they didn’t rise. Baking powder wasn’t old but beat them by hand maybe that is the difference. Hi Jennifer, if that was the only change you made, I suspect that the mixer did make the difference. Excellent recipe. I have tried several strawberry muffin recipes in the past and was always disappointed. I get my berries at local Amish farms and they are particularly juicy (and delicious). But their juiciness usually ruins muffins. So I cut the milk down to only 1/4 cup and the muffins came out perfect. This is sure to become a seasonal favorite. We went strawberry picking yesterday, made the muffins last night, and they were gone by this morning. Sooooo delicious! They were light, moist, and the strawberry taste shone through. I only used half the turbinado sugar at the end because 2 tbsp seemed like a lot but wish I’d used the full amount – the sweet crunch of the muffin top was the “icing on the cake.” Luckily we picked enough berries to make another batch today! I do not normally post a review but I must say, this is worthy of a review. These are hands-down the BEST muffins I’ve made. Loved it. Didn’t have almond extract or the turbinado sugar, but i added in the zest of a whole lemon and the juice of half because I love the combination. The muffins are super moist and super good. Thanks Jenn! This is one of the best recipes I’ve found online. The muffins were super moist and flavorful, they reminded me of strawberry pancakes. I didn’t have sugar for the tops but in all honesty it was delicious without. Otherwise I made the recipe as written and will make them again. These muffins were moist and delicious! I never thought to put strawberries in a muffin! Husband loved them too! these were fantastic! I made them with freshly picked strawberries and they tasted scrumptious!! Is it alright to use a kitchen aid mixer instead of a beater? Sure, just adjust speed down a little. Hope you enjoy! I’ve just recently come across your site. For Easter I made the grilled asparagus and feta salad. We loved it! At least speaking for the asparagus lovers among us. Tonight I’ve made the strawberry muffins. Exactly as your recipe states….however I am wondering if your idea of a 12 cup muffin tin is actually what I would call a jumbo muffin tin, because I actually have 18 muffins (I would call these also cupcake tins.) in my oven and…I hope I don’t have an overflow situation as they are very full even for 18 and not 12. Glad you liked the asparagus salad! For the muffins, I do use a standard muffin pan, not a jumbo pan. A few other readers have commented that they’ve gotten more than 12 muffins from the batter, but that hasn’t been my experience. I hope they turned out okay! They turned out great! I may not have quite understood your direction on the amount of strawberries. I had a qt. of strawberries with a few missing. I’m thinking I may have had more strawberries in my batter once I cut them up, hence more muffins. I would advise NOT giving these to “non-experienced” eaters lol!. My muffins were very light and rather tender and my grandsons made a horrible mess eating these…crumbs everywhere?. But they loved them! Will be making them again. You’re not THE Patti Wallace? Of Forsdick family? Was looking for a recipe to use up fresh strawberries and stumbled across this website. Made these tonight and they were delicious. Very delicate. Thanks for the recipe. Will definitely be making them again. Strawberries were on sale at the grocery store so I decided to try these muffins. They came out looking exactly like your picture, the taste was delicious. The strawberry flavor shined through, so tender and flavorful. The tip about tossing the strawberries with flour first was so helpful, they did not sink to the bottom of the muffins. Thank you for this special recipe. Would it be okay to make these two days before I host a brunch? If so, how should I store the muffins? Hands down the best strawberry muffin recipe. Did not change a thing and turned out really well. I was looking for a recipe to use up fresh strawberries and stumbled across this website, finding your recipe for strawberry muffins. I have made them and can say they were perfect! The instructions are clear and easy to follow and the muffins moist and with lots of flavour. I didnt need to change or tweak anything in the recipe, thank you, this will certainly be a recipe to keep! Made these this morning with my 5 and 7 year old sons. When they come back with “best thing I’ve ever eaten” and “we better make these again” I know they are a home run. Had to triple the milk just to get it to be a battery substance. Fail. So sorry you had trouble with the recipe, Elizabeth. It sounds like you might have been expecting a thinner batter, but you’ll notice in the photos that the batter is quite thick. Or could you possibly have measured an ingredient incorrectly? i made these strawberry muffins with my 4yr old daughter. We LOVED them! I cut the strawberries into very small pieces and this made the muffins more enjoyable for my daughter. Also we sprinkled white sugar on the tops and they came out great. My husband thought these were amazing and I agree but wished the strawberries would have been sweeter (not the recipes fault, just the berries). They were very delicate and we loved that. But when Jenn says to use cupcake liners, do it! I only had a few & those turned out perfect. The ones without liners were difficult to get out of the pan and fell apart. Will try again using the liners & more ripe strawberries! Oh. My. Word. Well, one word…delicious! Sprinkled brown sugar on top and used cinnamon. The directions were so easy to follow. I am so happy to have found this site! There are so many recipes i want to try! I made these this weekend and substituted the sugar with honey crystals as I do for all my baking and they were wonderful! So delicious! Thank you for sharing all your recipes. Would love to be able to see more recipe videos! I made these recently with my 3.5 and 1.5 year olds and have to admit that they turned out delicious even though measuring and pouring of ingredients was suspect with little hands! Thanks for making our afternoon a delicious success. Quick question–these muffins call for liners but your pumpkin streusel muffins do not–just curious why some recipes need liners? Thanks -love all your recipes! Hi Jill, the strawberries in these muffins can make them a bit sticky, so the liners help to keep them from sticking to the pan. Glad you like the recipes :)! These was fun to make with my nephews for his strawberry festival day coming up and they taste amazing !!!!! But I wanted to know would it work the same way with bananas ?! Let me preface by saying I do not bake. Like.. ever. My children feel this is a serious form of neglect, but I find it too exacting and time consuming and precise. Something about this recipe made me take the plunge & they were DELICIOUS!! Easy to follow recipe yielded perfect muffins. I got rave reviews and my children could pretend for a day that their mother was Martha Stewart and not Roseanne. Thank you. LOL! So, you can officially bake :)! We went srawberry picking and came home with A LOT. I wanted to do something different, and found your strawberry muffin recipe. I didn’t use almond extract as didn’t have any on hand, but added the cinnamon as suggested. So moist and delicious. Also not too sweet which is to our liking! Cheers from Australia! I have a lot of fresh strawberries and a lot of fresh peaches and company coming in a week. Definitely making the strawberry muffins. Think I can make a batch same way using peaches as well? Hi Cara, I haven’t tried these muffins with peaches, but another reader has and was happy with the results! Hellooooo theeeere, this recipe looks awesome, can’t wait to try it.. but just wanted to know, can I use coconut milk instead of regular? Hi Brittany, It should work, although the muffins might be a bit heavy. These muffins were awesome. They are now a family favorite. Can I use home made strawberry jam instead of strawberries? Hi Emi, I think I’d stick with the whole fruit here as I’m not sure how using jam would affect the texture of the muffins. Sorry! An additional 1/4 tsp. (the same amount of almond extract that is called for). Enjoy! Yum! Don’t skip the sugar on top. It really crisps up the top nicely. Hi I have a question for you and that is can I use brown sugar in the strawberry muffin s? Hi Lynn, if you’re thinking of substituting brown sugar for the turbinado sugar used for the topping, yes, that would work. But I would stick with the white sugar for the muffins. I just made these and they are absolutely incredible! I’m tempted to eat them all right now! Beyond scrumptious! Love, love, LOVE them! Just made these muffins for the second time and I’m in love all over again! They are SO fabulous I have to work hard to stop eating at just one!! These muffins were fabulous! I did not add the sugar on the top and I did not miss it a bit. If anything, I think next time around I might even cut some of the sugar from the recipe. Highly recommend this recipe which was easy to follow and yielded professional-like muffins. I used this recipe today to make the muffins. They turned out so well! What I did differently to the original is by replacing the all purpose flour and baking powder with 2 cups of self-raising flour. can these strawberry muffins be made into mini muffins? would they be just as good? any modifications to the recipe other than baking time for minis? Hi Robyn, Yes, you can make these into mini muffins and no modifications to the recipe are necessary. I’d start checking them for doneness at about 12 minutes. Enjoy! Hello, I do not have turbinado sugar, can I use white sugar instead for the top ? Hi Tanya, If you have brown sugar, that actually makes a great substitute for turbinado sugar. Thank you so much, this was the first time for me to make muffins. They turned out great ! Awesome recipe ! Thank you so much, these were the very first muffins I ever made! Turned out just great ! Awesome recipe ! Looked exactly like the ones in the picture. Is there any way to keep the top from getting too soft and moist the next day? Storage trick? Hi Tanya, I’d just leave them out at room temp; the strawberries keep them moist enough that you can get away with that. Glad you enjoyed them! Made these today – absolutely scrumptious and easy to make! Another onceuponachef recipe to add to my favorites! Perfectly Baked..i really mean it. 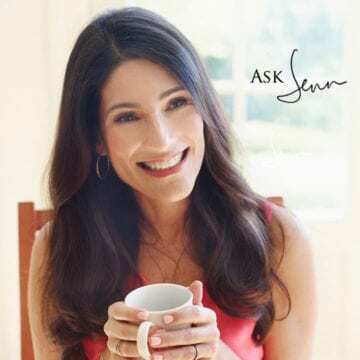 Hi Jenn, I accidentally used bread flour instead, will it make the muffins taste completely different? Hi Serena, The muffins will taste the same, but they are likely to be a bit heavier and denser. I’d love to hear how they turned out! Hi Jenn, they tasted great and fluffy when they were warm, but got a bit denser the next day. But the flavor is wonderful! What kind of milk is okay to use? We normally keep skim milk in the house, but should we get 2% or whole for the recipe? Yes MP, skim milk will work. Enjoy! My daughter and I made these today. We have now eaten half of them! Not sure there’s going to be enough to share with the rest of the family. Delish! These look amazing. And seeing all the positive reviews is making me look forward to baking these! I do not have any turbinado sugar…. is there a decent substitute for it? Denise, You can substitute brown sugar for the turbinado if you have that. Hope you enjoy the muffins! Hi Jenn, how long would you bake these as mini muffins? Thanks! Hi Renee, I would start checking them for doneness at about 12 minutes. Just made this to use up strawberries that weren’t that sweet. It was a great way to use them up. I really loved how they turned out! The touch of almond extract is totally worth getting! Excellent recipe!! I used a variety of flour to use up what I had on hand (a little bread flour, whole wheat, and then about half all-purpose}. Also, I used extra strawberries and slightly less sugar Baking time is accurate, although the soft berries in muffins may seem at first like muffin is under-baked. What is the best way to store these so tops don’t get soft and mushy? Made them once before and I put them in ziplock after they cooled. Next day the tops weren’t crunchy anymore. I’d just leave them out at room temp; the strawberries keep them very moist. I went to the strawberry patch this morning and made these this afternoon. They were very moist and delicious. My husband was tasting the batter from the bowl and told me not to bake them, that he would just eat the batter! Thanks for your wonderful recipes! Can you use frozen strawberries in this recipe? Hi Ruth, frozen strawberries will work just fine. It would be wonderful if there was a way to save recipes to a recipe box right on your website. I wonder if anyone has ever inquired. I am having difficulty emailing recipes to my email address and I do not use the other options the site offers (ie. f, p, “bird”). Have a wonderful day. Your website is terrific! Hi Maria, thanks for the suggestion. We will add it to our list of potential enhancements to the site. One fairly easy way to save recipes is to go through the following steps: 1. Click the PRINT button right under the recipe title 2. Select PRINT from your browser’s menu 3. When the box with printing options appears, look for the dropdown in the bottom left corner that says “PDF” 4. Click on the dropdown arrow and select “Save as a PDF.” Hope that helps! These muffins are delicious. Easy to prepare and the finished product – light and moist. I was looking for a strawberry muffin recipe and there are quite a few out there to choose from. I am so grateful to have been guided to use this one! I look forward to getting to know your website and trying other recipes. Many, many thanks. Oh My! So good. We are trying to use up our leftover frozen strawberries before the freshies arrive. This was a big hit. We did not have baking powder so used the tartar/soda sub, & used brown sugar for topping which was fine but I’m sure the other would have been better. Nonetheless, this is a KEEPER. I made these today last minute because I had strawberries I needed to use or lose. I was a little worried because I only had salted butter and had to substitute a mixture of cream of tartar/baking soda for the baking powder. I did not have almond extract so I just added a dash more vanilla. They turned out great and I can only imagine how awesome they would be with the almond extract. They got 2 thumbs up from my 21 month-old little helper. Wow these are amazing! Somehow the almond extract just perfectly brings out the sweetness of the strawberries. I made a gluten free batch as well and just substituted with GF flour and they turned out great. This one’s a keeper! I didn’t have almond extract so to boost the flavor I added shredded coconut. Next time I’ll make sure to have the extra. If you like coconut it’s a nice combination. Regardless, the recipe is wonderful! Can I use brown sugar in this recipe? Kally, if you’re thinking of subbing brown sugar for the turbinado sugar used for the topping, yes, that would work. But I would stick with the white sugar for the muffins. I’m not a muffin fan but I decided to make these for my daughter and they are absolutely delicious!! These are definitely worth the trip to the store for almond extract!!!! I made this last night with my 6 year old daughter. Half way through mixing I realized I was out of muffin cup liners so we used 2 loaf pans instead. It turned out great. Hi! I am making these muffins as we speak. They are in the oven now, and they are rising and spreading so much that they are all conjoining together. What did I do wrong? Hi Ashley, Unfortunately, I’m not sure why that would happen, but once they’ve cooled, you can gently separate them. Was the texture and taste okay? While using up our groceries after a 2month in a condo, I wanted something sweet. I had all the ingredients when I ran across this recipe. Took it our last group outing. EVERYONE OF US ABSOLUTELY LOVED THEM. This is definitely a keeper. Another delicious recipe by Jenn! These were delicious, I almost didn’t use the almond extract because I didn’t have any, so I bought it just to use in this receipe. I am so glad I did, I loved the taste of the almond with the strawberrys. I just added some chocolate chips to the mix. I will be making these over and over again. Can I use buttermilk in place of the milk? Hi Shelly, Unfortunately, buttermilk won’t work in this recipe. Sorry! While I think you could refrigerate the batter, you could also make the muffins a day in advance. Hope everyone enjoys them! would strawberry muffins work if made into cupcakes with strawberry frosting? Sure Jess, that would work. They will obviously have more of a muffin texture than a cupcake one, but they should be delicious. This recipe is FANTABULOUS! We love these muffins. I wonder if there will be any left tomorrow. Do these muffins freeze Well? How ’bout your blueberry muffuns? I just made a batch of your strawberry muffins using fine spelt four and coconut milk. I also used vanilla bean paste. Next time I am going to try using coconut sugar instead of regular sugar. Thanks for the fantastic recipe. These were excellent also used same recipe and made a batch of blueberry and chocolate chip to have a variety of muffins. Thank you! The muffins are beautiful. Tastes like spring! Great strawberry flavor. The addition of almond extract complements the strawberries perfectly! They have a great texture, not wet, just moist! Winner Winner! These are so good. I’ve made them several times, in both regular and mini sizes. My family and friends love them! Today I accidentally melted the butter when trying to soften it in microwave. Can I still use it in this recipe? Will the texture be different? Thank you! Hi Janet, Unfortunately, melted butter won’t work in this recipe. Sorry! Hi there! Just wondering if this recipe would transfer well as a cake? Could these be made with WW flour? Hi Phil, Yes, but I’d start with half whole wheat flour and see how you like it. OMGosh!! I have made your Blueberry muffin recipe several times that my family loves and last night I didn’t have enough strawberries for this recipe so I threw a cut up white peach in. SO amazing! Everything I have made on this website has been out of this world. Can I make these without the almond extract? Is there something that I can use as a substitute for it ? Sure, just replace with more vanilla. Is that cooling time right? 25 minutes in muffin pan. Hi Jackie, Yes, it’s correct. The strawberries release a lot of moisture so the muffins need a little extra time to set up, otherwise they’ll fall apart when you take them out of the pan. These were delicious! I cut the sugar back just a little. I ended up with too much batter to fit in 12 regular sized muffin cups, so I made a few extra. Thank you! I had to try these after I made your blueberry muffins, which were so tasty. These did NOT disappoint. So moist & full of flavor. As with the blueberry muffin recipe, I followed the recipe exactly. However, I checked these around 25 minutes and mine were perfectly browned. I’m sure my oven runs hot though. Thank you for another fantastic recipe! I have a couple overripe bananas that I’d like to add to this recipe. Do you think that would work? How would you incorporate the bananas? Thank you Jenn for your quick and informative response 🙂 Can’t wait to try these new recipes!! oh my god, they just came out of the oven. the most delicious strawberry muffins ever! Would you know how to convert this recipe into gluten free? Hi Sandy, The only way I know would be to use a gluten free baking mix, such as Pamela’s. These muffins are to die for I made them yestoday and had so many interruptions I messed the recipe up. I did not alternate the dry ingredients and the milk and they still came out moist and YUMMY. That is a keeper and thanks for sharing it with us. Can’t wait to try some more recipes. I just made these and they’re great. So good and moist! Worth the drive to get juicy farm fresh berries for these. I was looking for a good strawberry muffing and have just recently found your website, but had yet to try any recipes until I made these. They are so very good with a real strawberry taste. My husband and I were going out of town, so I froze them. They were even better it seemed when pulled from the freezer. So moist with those wonderful moist bites of strawberry. Next time I think I will add a little orange zest to the batter. Thanks so much for the great recipe. Really enjoy your website. Another FANTASTIC recipe! I’ve never made muffins with strawberries before, but I had to try this one because it looked just too beautiful. And I’m so glad I made them! It was not just pretty, but also so delicious! Now I wonder why not more people make muffins with strawberries. It is just as good as standard blueberry muffins, but just different. And this recipe is a winner! Great texture, balanced flavor and aroma including sweet crunch top that was made from sprinkling the raw sugar. Simply irresistible! Now I think I have to make Jen’s blueberry muffin recipe as well, since that is the original version of this amazing recipe. Thank you for another great recipe! Hello, love these muffins, just wondering if I could use the same receipe to make chocolate chip muffins. Thank you! Hi Angela, Yes, that should work. Last night I made these muffins for my family. I followed the recipe exactly. They were a HUGE hit! My daughter had one after dinner, with breakfast and for snack today. Thanks for providing a nice alternative to banana, chocolate and pumpkin muffins! I needed to create something new. I just made these muffins for my family and they turned out beautifully!!! I made them on a whim because I had extra strawberries in my refrigerator. My family LOVED them and I am so excited to have a recipe for strawberries. Your recipes are so easy to follow– your attention to detail is so helpful! Thank you!!! These look wonderful! Can they be made in a loaf pan like a quick bread? This is a great recipe! These strawberry muffins were a big hit at our house. What should I do differently if I want to try doing mini muffins in a tin for mini cupcakes? Should I cut the baking time? Hi Sara, Yes, just cut the baking time; I’d start checking at 12 min. I made 3 dozen mini strawberry muffins, they turned out perfect after baking for 15 minutes! Thank you Jenn, your recipes are always a hit. Preparing a pint of strawberries is a “hull” of a lot of work, but these muffins are yummy! Worth the effort. Thanks, Jenn! Just finished making these. Substituted coconut sugar for white sugar, and brown sugar for turbinado sugar. As are all the recipes from this amazing website, these were a 5 STAR WINNER! Can’t wait to make them again! THANK YOU for sharing! I am by no means, a good cook, but working with recipes from your website is the only time I feel confident in the kitchen. Happy Mother’s Day. From one very appreciative mother, and her family. Hi Sharon, Yes, they should freeze well. Enjoy! The strawberry muffins look delicious. Can frozen strawberries be substituted for fresh fruit? I always keep a supply of an assortment of frozen berries on hand. Can!t wait to try these! Hi Marilyn, Yes, they should work just fine. Just took the muffins out of the oven and they are almost gone! Delicious and easy . Making them for Mother’s Day Brunch. Tried these muffins in my brand new Wolf Gas Oven and they came out beautifully. They were moist and yet had a lovely crusty top. My husband loved them and my girlfriends raved when I gifted them each a few. (I doubled the batch since strawberries are in season here in Michigan) I know I’ll make these time and again. This recipe is a keeper!! If you have a tree nut allergy, do you recommend a substitution for the almond extract or just leave it out? Thanks! Hi Carolyn, It’s perfectly fine to leave it out and just increase the vanilla by 1/4 teaspoon. You could also add a teaspoon of lemon zest, if you like. Any idea how many pounds of strawberries that is? Hi Joy, It’s about 3/4 pound.